Despite living in the right place for Wood Whites, somehow they’d always managed to elude me each year. They seem to exist in very localised colonies. 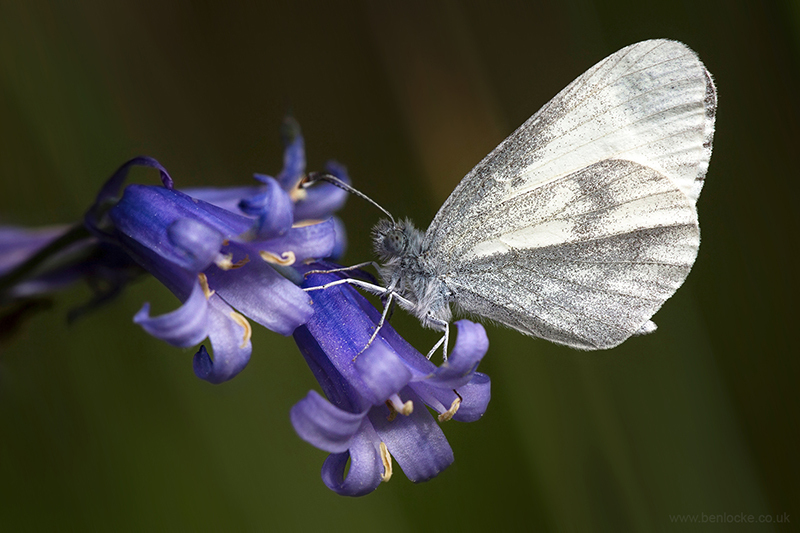 The Wood White is one of our daintiest butterflies with one of the slowest and delicate flights of all the British butterflies. When at rest, the rounded tips of the forewings provide one of the main distinguishing features between this butterfly and other “whites”. Adults always rest with their wings closed. In flight, the male can be distinguished from the female by a black spot at the tip of the forewings that is greatly reduced in the female.